Loperamide (known in the United States as the over-the-counter medication Imodium) was discovered in 1969, and is used world-wide as an anti-diarrheal medications. Recently there have been a significant increase in cases of cardiac arrest associated with taking large doses of loperamide, either in attempt to control the diarrhea associated with opioid withdrawal, or in an attempt to get high. Loperamide is a weak mu-receptor agonist (similar to other opioids). This problem has now garnered national attention with the Atlantic article published in April. Loperamide binds primarily to the peripheral mu- receptors located in the GI tract to slow gut motility and reduce the episodes of diarrhea… In essence, loperamide uses the undesired side-effect of opioid-associated constipation to an advantage. However, unlike oxycodone, morphine or other opioid medications, loperamide has a large chemical side chain which prevents the drug from crossing the blood-brain barrier. As a result, loperamide does not cause the typical response to opioid medications – namely analgesia, euphoria, altered mental status, and respiratory depression. Typical adult doses are 2mg, and should not exceed 16mg in a 24 hour period. 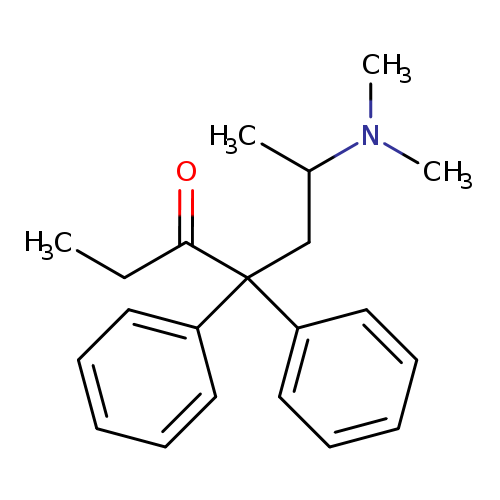 The chemical structure of loperamide is very similar to that of methadone with two benzene rings and a neighboring ketone group bound to a single carbon. Given their similar structures, it is thought that loperamide also has similar effects to methadone on cardiac potassium channel activity (specifically the human ether-a-go-go potassium channel) which can delay cardiac repolarization in high concentrations . Delayed repolarization prolongs the QT interval and can cause cardiac arrhythmias (such as torsades de pointes) which may be fatal. Loperamide abuse either in the setting to alleviate opioid withdrawal symptoms or in an attempt to get high both have both resulted in cardiac arrests. Doses as low at 80mg have proven to be fatal.